A dead protected duck was picked up from a nature reserve on Friday morning, "probably" forming part of a flock photographed earlier by the Parliamentary Secretary who is responsible for their wellbeing. Six shelducks forming part of a flock of eight had landed at Salina after were earlier observed flying over Valletta on Wednesday, Birdlife Malta said. Birdwatchers on site noticed that out of the flock of six resting at Salina, two shelducks appeared to be injured. One of them had a visible injury to its left wing while the other had blood on its right wing. The Parliamentary Secretary took a picture of the birds. 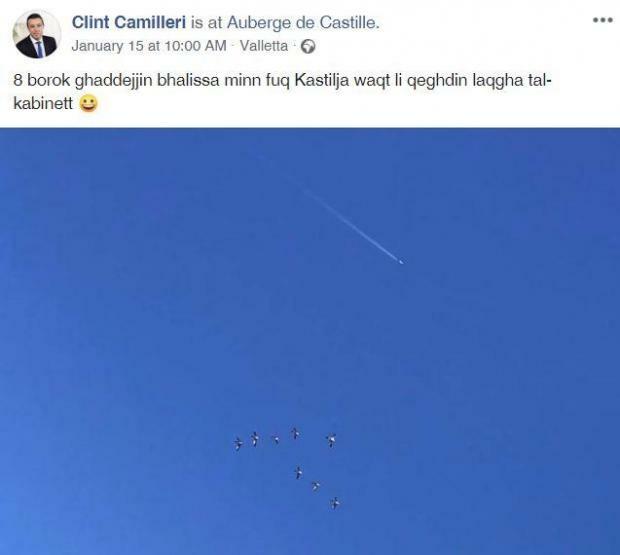 Ironically, the flock of shelducks had been photographed by the Parliamentary Secretary for Animal Rights Clint Camilleri during a Cabinet meeting at Auberge de Castille on Wednesday. Mr Camilleri, who is himself a hunter, went on to post the picture on social media. Birdlife said the dead duck picked up on Friday was "probably" part of the flock captured flying by the parliamentary secretary. The following day, only three shelducks were left at Salina, while in the following hours all the birds appeared to have left. On Friday morning, one of the injured shelducks was found dead in the water. It was sent to the government vet to certify that it succumbed to gunshot injuries it sustained. Shelducks are a protected duck species with various specimens still migrating through January, avoiding the colder winter further North in Europe. Natura 2000 sites and bird sanctuaries like Salina offer the necessary shelter for such species as they migrate. Two days before the flock of shelducks landed at Salina, two similar ducks were found during a clean-up operation in Qajjenza. They were both dead. And in a separate incident, over 10 shelducks from a separate flock of 23 were shot down at sea. Though the Administrative Law Enforcement unit was immediately alerted, it was did not dispatch a sea vessel, allowing the culprits to have enough time to escape, Birdlife said. The owner of the boat in question was identified, but it was not clear whether police gathered enough evidence to prosecute him. The "massacre" led BirdLife Malta to call on the government to close the hunting season at sea - but the proposal at Ornis Committee was voted down.